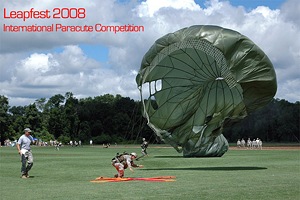 The Rhode Island Leapfest is an International military parachute competition held in North Kingstown RI. It is the oldest and largest competition in the world. The International teams were from the United Kingdom, Honduras, Serbia, El Salvador, Germany, Ecuador, Peru, and Nicaragua. 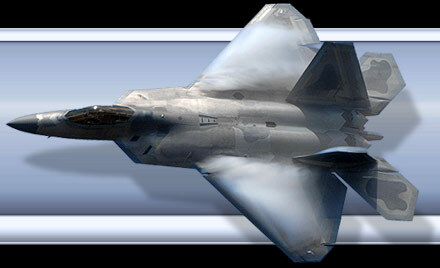 The rest of the teams were made of up US Military teams from the Army, Air Force, Guard and Reserve units and a pair of teams from the US Military's Main parachute testing facility, Natick Labs. The morning started out behind Rhode Island University with each jump team displaying their country's flag. After our national Anthem and a morning prayer, a team member from each country marched their flag front and center for display. There was a low cloud cover for the first part of the monring which delayed the first few jumps. The jumping resumed around 9:30am as the clouds thinned out enough for the jumpmaster to see his landing zone. Each team is made up of a 4 person team, jumping 3 times each. The platform was a CH-47 Chinook flown at 1500 AGL. The helos would make passes over a large field marked with an orange X. Judges would time each jumper as they hit the ground and then would have to carry all of their gear to the center of the X. The total time for all 4 members, over the 3 jumps is totaled up. The team with the lowest combined score is the winner. The teams were held in a staging area where they would help each other into their parachutes. Teams would then form up into lines and take the next Chinook to the drop zone. At times all 3 Chinooks from the CT and GA Army National Guards were up in the drop pattern. A jumpmaster aboard each Chinook would give the commands for all teams aboard his helicopter. A UH-60 Blackhawk would circle around for media and officals so they could get a view from high above. First place individual time was tied between 1st Special Forces Brigade Tco3 Navarro, HHC 160th SOAR (A) SGT Rondorf & HHC USACAPOAC (A) SSG Bronzo with 21 seconds. HHC 1-160th SOAR took first place in the combined team time with 117 seconds, second place went to the 2nd Infantry Battalion of Honduras with 145 seconds followed closely by HHC USACAPOC with 148 seconds.